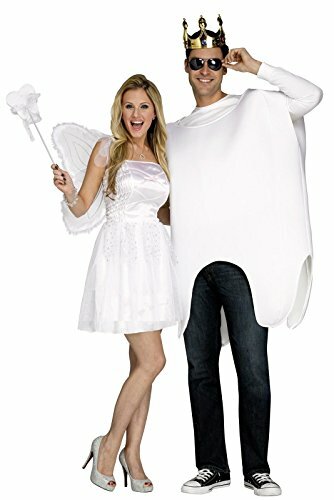 Be the sweetest couple at the party with this perfect tooth fairy and tooth couples costume. This costume includes one tooth tunic and crown, a tutu dress, wings and a wand. Does not include sunglasses, jewelry, shirt, pants, or shoes. One-size fits most.